People would choose to backup their BD/DVD collection to ISO image files to save physical space and prevent hard disks from damages. But as a data reflection of DVD or Blu-ray disc, ISO files cannot be directly opened or watched through Apple TV (the 4th-generation Apple TV included) on your Panasonic, Sony, or Samsung HDTV. If you want to get BD/DVD ISO video files playable on Apple TV 4/3/2, you'll need to convert ISO to Apple TV compatible video format first. This article will show you an easy and quick way to get the job done well. To do this, you need a tool that can read the ISO files and convert ISO image files to Apple TV supported formats. 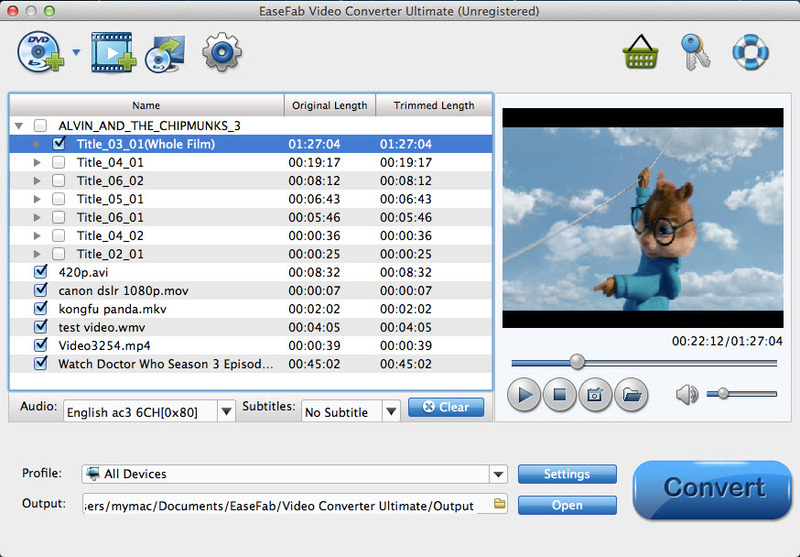 One of the finest solutions available for people who are looking to convert their files from ISO to Apple TV 4/3/2 is the EaseFab Video Converter Ultimate for Mac. With this app, you can simply convert Blu-ray/DVD discs, Blu-ray/DVD ISO, DVD ISO files to Apple TV, iPad, iPhone, iPod, Samsung, Amazon Fire TV, Surface Pro, PS4, PS3, NAS etc. playable videos with fast encoding speed and excellent output video quality. After conversion, you can easily stream and play your ISO image files on any device. If you're using a Windows PC, please turn to equivalent Windows version, which has the same function as the Mac version. Step 1: Donwload, install and run the ISO to Apple TV Converter tool on your Mac. Then click "IFO/ISO" icon to load your ISO image files. As you see, you can directly load Blu-ray and DVD discs. Step 2: Next, select a proper output video format. Luckily, this program provides the video profile for Apple TV so you don't need to be bothered by what format to set as the output file format. 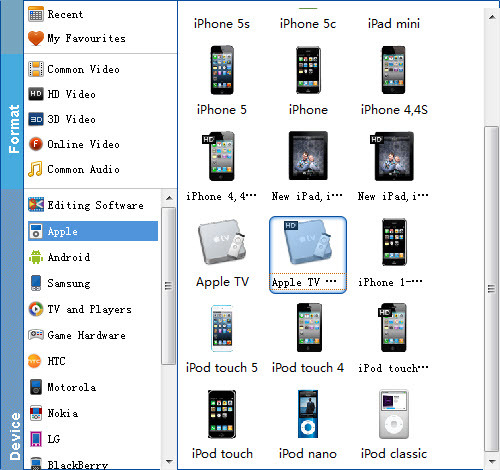 Click "Profile" box and move mouse cursor to "Apple" category, then choose "Apple TV" as the output format. For a higher quality, simply turn to "Apple TV HD". Step 3: Hit the Convert button to start converting ISO image files to Apple TV. Once the conversion is finished, you will be able to get the output files for Apple TV via clicking on "Open" button effortlessly. Now you can stream the converted BD or DVD ISO image files to Apple TV 4/3/2 for playback with great fun.